Korean-American, multimedia artist credited as the founder of video art. He was one of the first to use "electronic super highway" in reference to telecommunications. He trained as a classical pianist in his youth and studied music at the University of Tokyo and at Germany's Munich University. He became acquainted with conceptual artists Joseph Beuys and Wolf Vostell while in Germany, and they had an incredible impact on his pursuit of electronic art. His famous work, "Electronic Superhighway: Continental U.S., Alaska, Hawaii 1995-96," was put on exhibition at the Smithsonian American Art Museum. He grew up with two brothers and two sisters, and he and his family fled Korea during the Korean War. 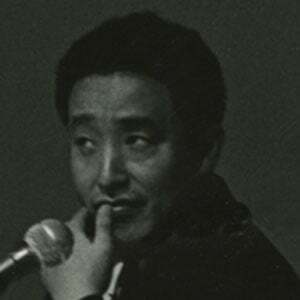 He married video artist Shigeko Kubota in 1965. His work was influenced by the musical compositions of John Cage and Karlheinz Stockhausen.